Boutique Victorian breeder Grant Sheldon from Macedon Park has had plenty of reason to celebrate 24 hours of Magic Millions action on the Gold Coast. Situated at the foothills of Mt Macedon, they originally owned the mare and were responsible for designing the mating that produced both the top lot on day three, Lot 624, the Written Tycoon x Golden Penny colt and the $1 million RL Magic Millions Cup winner, Redouble. Golden Penny was purchased by Belmont Bloodstock Agency’s Damon Gabbedy for $270,000 carrying the colt at the 2017 Inglis Great Southern Sale. With Redouble, we picked out his dam Special Mission and designed the mating by making the decision to send Special Mission to the Hunter Valley to Redoute’s Choice. Macedon Park Principal, Grant Sheldon was thrilled to get those two results, being only small breeders that foal six to eight mares a year. “We would have been one of Brent and Adrianne’s first clients, post Eliza Park days and have formed a strong professional relationship and friendship over the ten years we have worked together. It will be sure to continue for many more years to come,” Sheldon said. Loyal to the Victorian breeding industry, Macedon Park, having used Torryburn Stud in the past to foal down mares covered in the Hunter Valley, have now relocated all their mares back to Victoria. And as breeders, the Sheldon’s will still benefit from Redouble’s win, having his dam on farm. 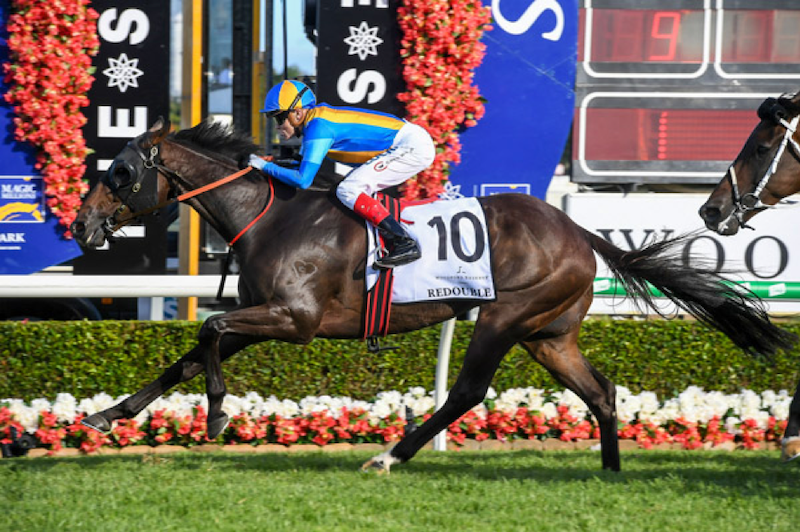 The Sheldon’s have also raced Bletchingly Stakes and Regal Roller Stakes runner-up Platinum Rocker, while Melbourne Cup contender, Rose Of Virginia has now retired to their broodmare band at their Macedon Ranges based farm.